You might not expect to find a Turkish coffee vendor in the streets of old Jerusalem. In my naiveté, I certainly did not. I did expect to find typical scenes, such as the man in the archway profile. I spent a day in Jerusalem, just barely enough to get a sense of the place. It's home to many, many different ethnicities & religions, so its great for people (and culture) watching. These are a few street shots from the old city; most of the tour I joined was here. Technology as a common theme across cultures; An Asian tourist takes photos with his iPad, an Australian tourist (I know, they were both on my tour) does so with her iPhone and finally, a young holy man (priest?) checks his status. 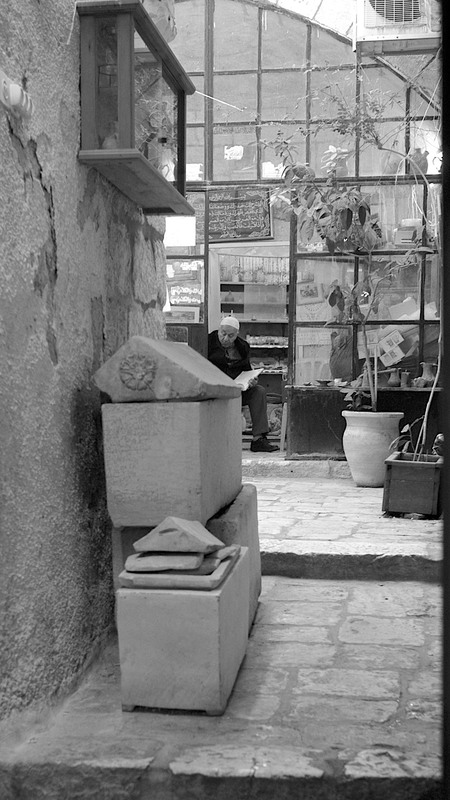 Typical 'streets' in old Jerusalem. Old alleyways, all constructed of the same stone, make up the pedestrian walkways. Kids navigate on their own. 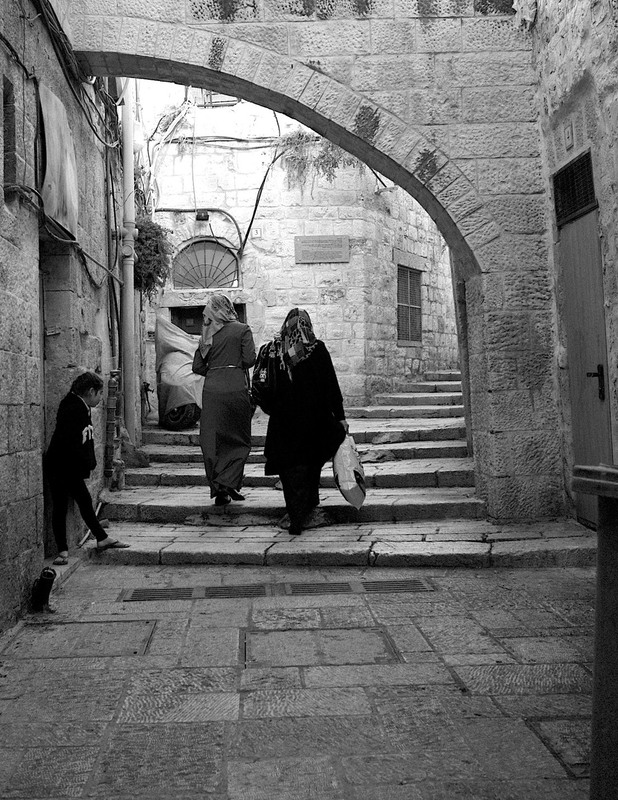 A young girl, perhaps 7 or 8 years old, leads her younger siblings on a shopping trip in the streets of old Jerusalem. What's old is only a matter of what you're used to. In the USA, this would be considered ancient, protected architecture of archaeological significance; 1,500 year old walls of old Jerusalem are nothing more than a convenient goal for young soccer players.